C2G2 Productions | Life is an adventure. We're in this together. Ocean Metaphor is Now Available! 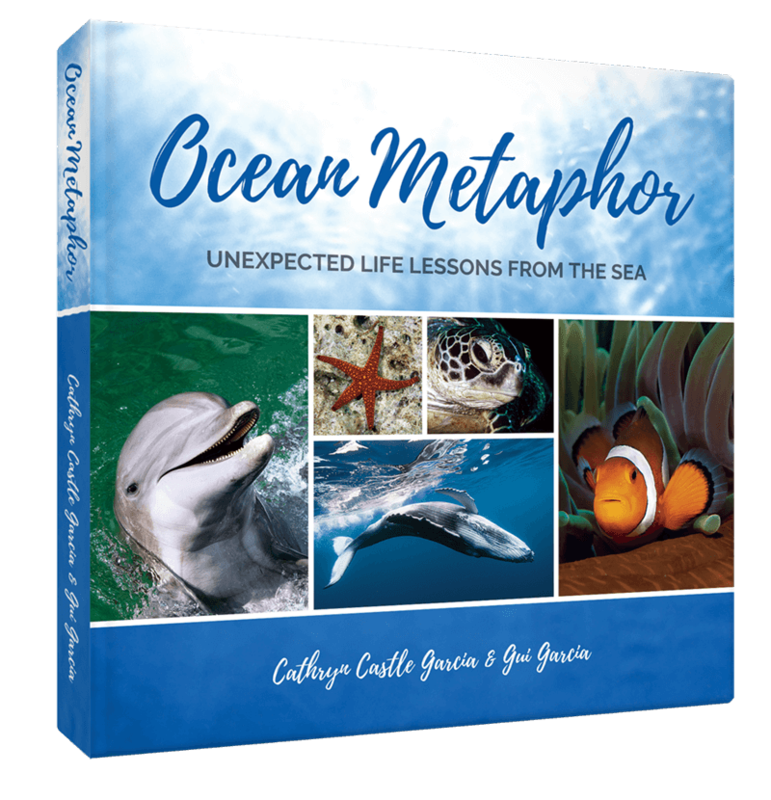 Ocean Metaphor: Unexpected Life Lessons from the Sea is a collection of brilliant underwater photos—our own, and that of featured artists—paired with inspiring essays crafted to enrich your experience of marine life and the underwater world. Limited Edition hardcover and softcover versions available. Get your copy now! Hello and welcome to our little corner of the Internet. We’re Gui Garcia and Cathryn Castle Garcia. Together we are C2G2 Productions, a multimedia communications company. We are storytellers and visual artists. At C2G2 Productions, our goal is to help you package the visual wonder and passion of your story—your book, your film, your product or project—in a way that excites the mind and stirs the heart. And puts money in your pocket. Gui is a masterful filmmaker and photographer. He’s also a licensed yacht captain with decades of experience at the helm. 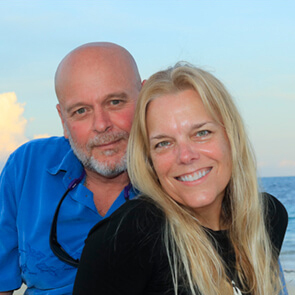 Cathryn is a highly accomplished writer, editor and publisher. We’re both expert scuba divers. We love helping our clients get from bright idea to brilliant finished product. Tell us your story. We’re good listeners. We want to help you get seen and heard and loved. We’re dynamic as a duo, and we’re also blessed to work with a whole bunch of creative folks—artists, graphic designers, branding and marketing experts, web designers and PR pros. Our collaborators love helping us make you look good.